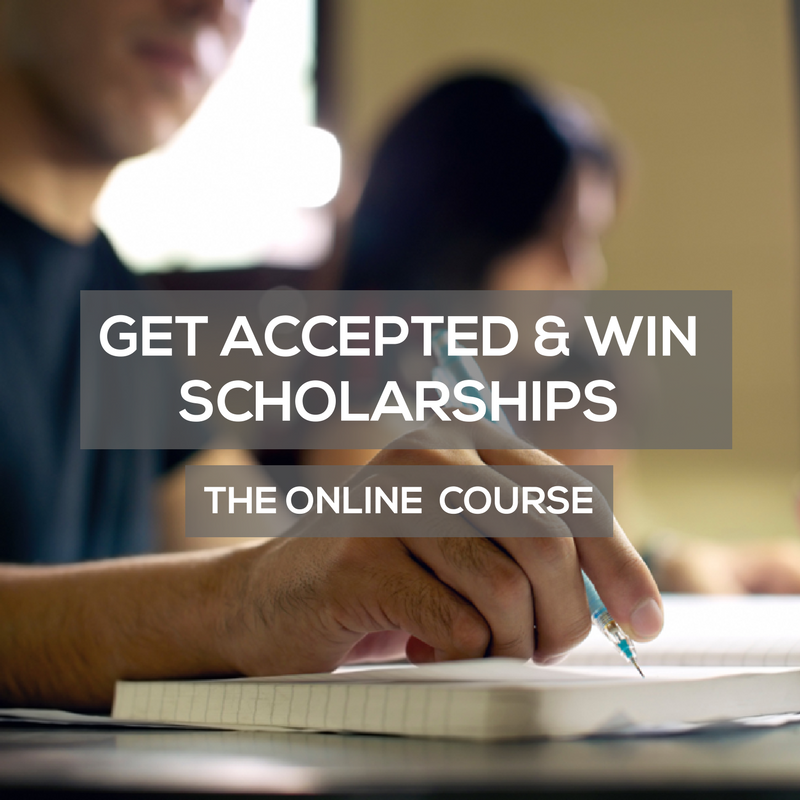 Get into college and earn the scholarships to pay for it. ScholarPrep is a comprehensive planning system that guides and supports families through high school in preparation for the college and scholarship application process. The ScholarPrep Organizer covers every section that a student will encounter on a college or scholarship application, provides helpful tips and information, helps students set goals and tracks everything that they will need when it comes time to apply. The Organizer was carefully designed with students and parents in mind. In our comprehensive online course, families learn how to create their perfect system for staying organized and on top of college-prep deadlines. By the end of the course, parents and students will have the inside scoop on how to stand out against other applicants and be well on your way to creating impressive applications! 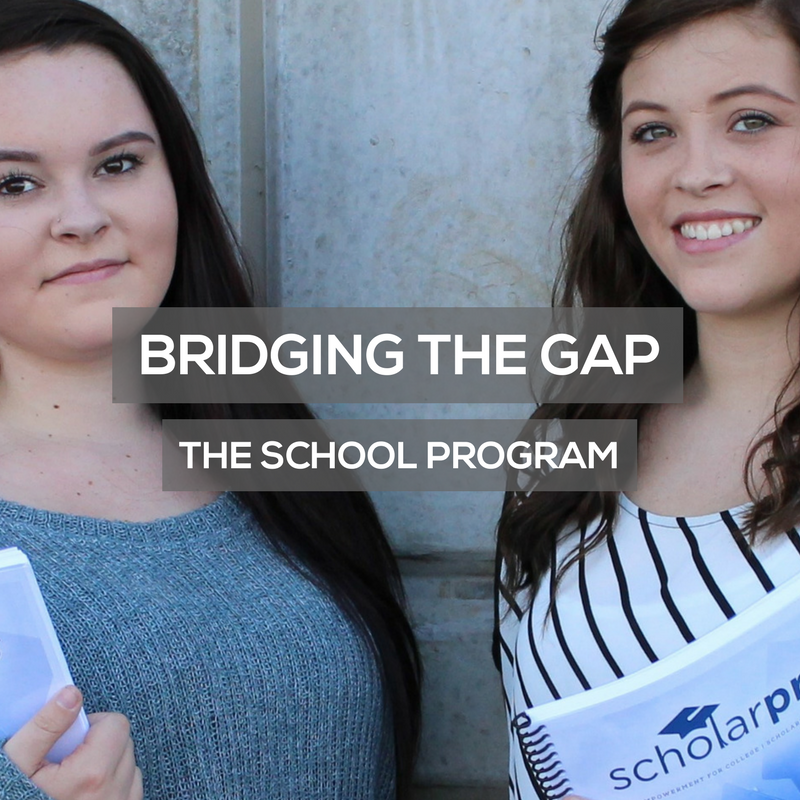 ScholarPrep serves to bridge the gap between students, parents, counselors, and mentors to empower students to prepare for the college and scholarship application process. We can work together to increase college readiness and reduce the pressure placed on high school counselors and the administration. What are parents saying about ScholarPrep? 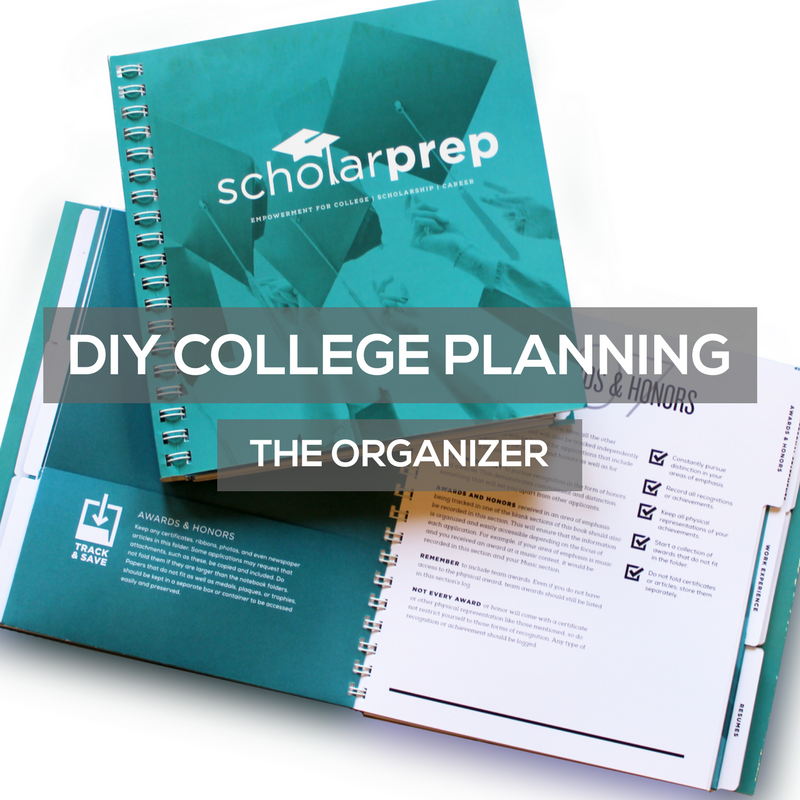 As a mom of three, two of which have gone through the college process and one still in high school, I love everything about the ScholarPrep Organizer. I know how important organization is in the process of applying for college (and scholarships!) and am excited to use the book as a valuable tool while my youngest son is still in high school. Not only is it full of excellent information and timely tips, the organizer is well made and easy to understand how to use. Great job! Thank you for the amazing resource you have created. I first started going through the ScholarPrep Organizer and was blown away by the simple step-by-step process to get on track and stay on track. I have at my fingertips a complete system to start and get my daughter’s records organized. With this at my disposal, I am confident that this will not be the chore I have so been dreading. We will be ready! Again, thanks for creating something for parents that is so thorough and easy to follow. My how I wish we had this two years ago! We will make it, but starting half way through my son’s junior year seems late! Thank you for this wonderful organizational tool! What a wonderful guide! And this is coming from a former event planner turned kinder teacher!! So I get how important organization is! You’ve made this very doable! This is a fantastic book. It has made the daunting task of preparing for college so much easier! It allows us to keep everything extremely organized. We will never have to second guess whether or not we are missing something. I am so thankful that we got this my daughter’s freshman year of high school! By using ScholarPrep, families will know that they have done everything possible to prepare the student for life after high school, whether that is college, vocational training, or a job. The idea is to make life after high school a positive transition for students (and parents). Students who may not have considered attending college will be able to pursue this option by preparing for the application process. Students already planning on attending college will have a better chance of being accepted by using the workbook to improve their high school resume. By simplifying the application process, a student will be able to apply for more scholarships and other financial aid with the time that they save. They will also have a more competitive application, further increasing their odds of receiving the money they need to pay for school. When a student does not have to worry as much about paying for their education, they have more free time to focus on academics, pursue internships, participate in student organizations, and further build their resume for their career after college. Your Organizer serves as a physical representation of hard work and dedication. It becomes a “brag book” that can boost self-confidence. Confidence is essential for the transition to college as students will be talking to professors, advisors and employers on their own. By actively engaging in the planning process, students will be more prepared than the average high school graduate when it comes time to fill out a job application or prepare a resume. This will open the doors to college, scholarships, or the workforce. The ScholarPrep Organizer helps students get into college and earn the scholarships to pay for it!